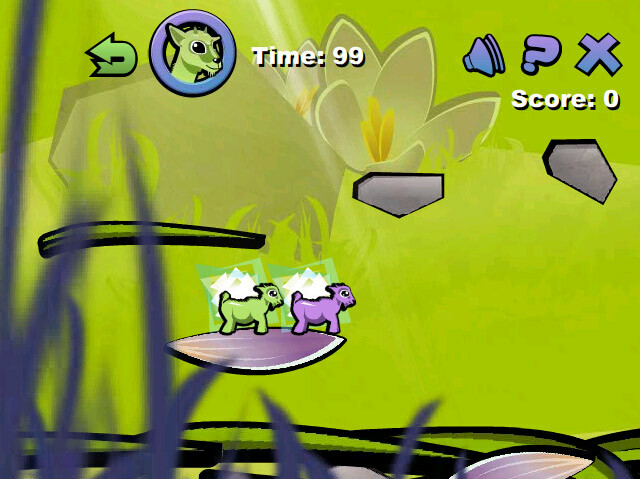 Playful goats Harvey and Tina need to work together to complete their journey through the summer sky in A Good Hunch. 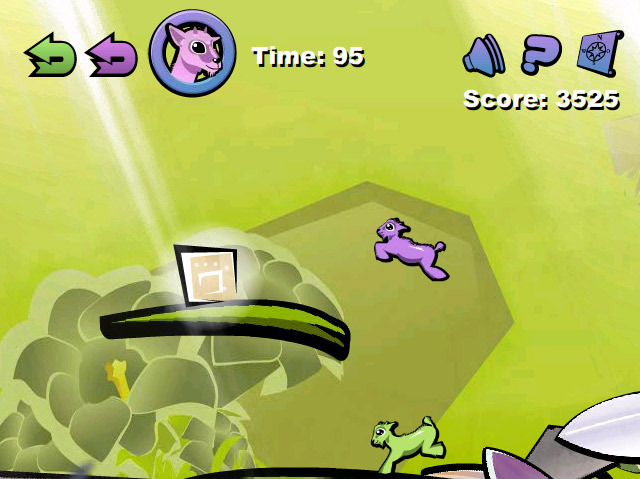 Help them navigate tricky puzzles, moving platforms, and time travel in this dreamy online puzzle game. Use the arrow keys to guide Harvey to one of the glowing exits. Then, watch Harvey travel back in time and complete his path again. Tina can now leap on Harvey to reach the other exit. 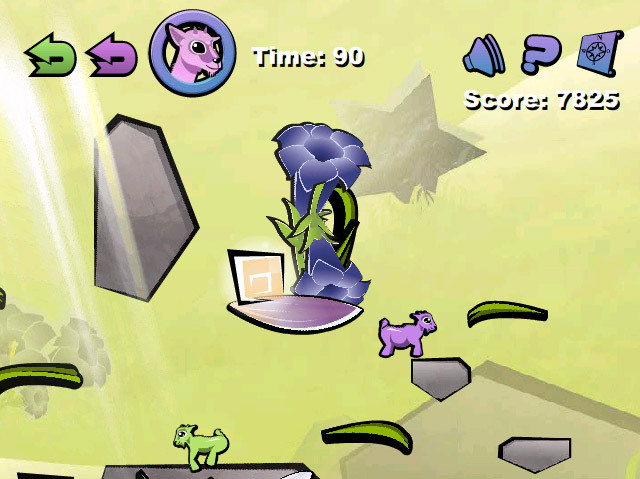 With 20 levels to master, A Good Hunch will test your timing and get your goat!